Facebook about to come up with a new interface design for Messenger. It first showed the glimpse of it in F8 conference in May last year. After which it started rolling out the simplified design to some users in November 2018. According to reports, now the latest design will be available at a wider level both with Google Play Store and Apple App Store. This simplified interface design of Messenger has fewer tabs and textual icons. This would help users chat more conveniently, knowing what is going on in the conversation. Stan Chudnovsky, Facebook Messenger head of product, said that this new version might not be as simple as it was in the early times. But this surely will be easier to use now as Facebook itself realized that Messenger app should be simpler again. "The brand new, redesigned Messenger app is now easier to use, simpler to navigate and more fun. ", updated Messenger team on its App Store page. 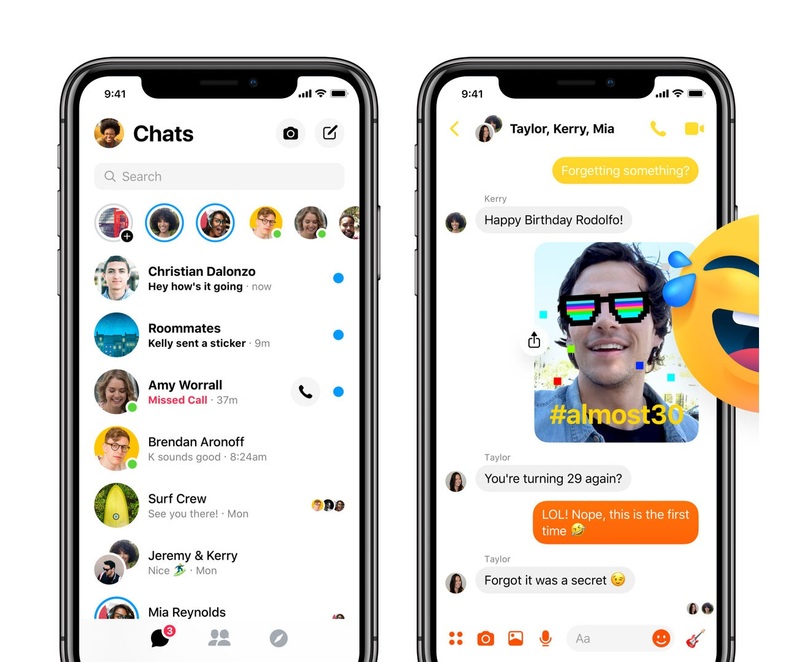 Adding further, "Messenger has been simplified into three tabs—Chat tab (where users can quickly access all their messages, video chat, call, use the camera and Stories), People tab (helps users find friends) and Explore Tab (that connects users to their favorite brands, find discounts and play games)". The simpler version is already available to many users whereas others have been assured that soon they will get access to the redesigned interface.